Well last four decades advances in the management of medical diseases has given us 10 years of lifespan increase and the good thing for cardiologist, a happy news for cardiologist is that 7 years out of this 10 years has been contributed by advancement in the management of cardiovascular diseases and if you look into further detail 90% has been only possible by controlling the risk factors for cardiovascular disease out of which 50% has been contributed by lifestyle modification like exercise, good diet, smoking cessation and 40% had been contributed by the drugs like antiplatelet, beta-blockers, ACE/ARB, statins, possibly some of the antidiabetics and unfortunately less than 10% has been contributed by interventions like CABG and PCI and very surprisingly only 2.4 months has been added in last three to four decades by advancement in oncology. Look at the risk factors, the most important risk factor is hypertension as you all know, #1 killer of human being on this earth kingdom and this is rising globally. 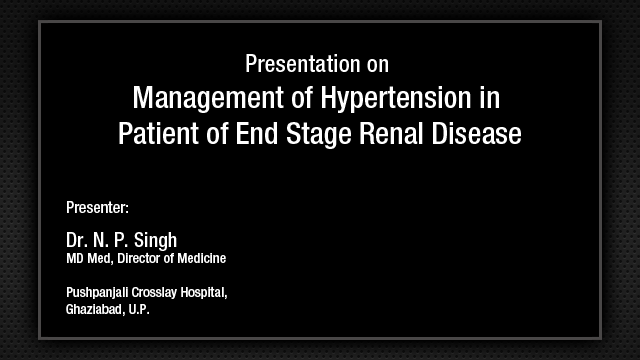 This has been discussed, high incidence, increasing more in developing nation with pre-hypertensive population area which is really neglected in last few years we have seen, but what we have learned for this studies that if you do not manage them adequately or diligently then what happens is 15% of them ultimately develop clinical hypertension of either stage I or stage II, so we have to handle pre-hypertensive population more and more aggressively because the huge burden of pre-hypertensive as we can see from the data from our own country as well as from world over, that roughly 50% of the adult population is pre-hypertensive, only 25% are normotensive and we have to work hard on this area. Unfortunate thing, a large number of population those are having pre-hypertension or hypertension even they are unaware that they are suffering from heart disease, so there is a huge burden of uncomplicated hypertension management for all of us physicians in clinical practice and only one fourth are getting treated, one tenth are getting to the target level, and may be one twentieth are getting to the target level with hypertension with diabetic combination population and this we have long ago learned that narrow vision of managing only sphygmomanometer is not good, we have to look at the other risk factors which are there in majority of the patient with hypertension and they have other risk factors and it the interplay of the various risk factors like hypertension along with dyslipidemia, diabetes, which causes vascular disease and so the goal is to have a global risk factor reduction in every patient of hypertension so we should not narrow mindedly manage only sphygmomanometer, look at the lipids and other risk factors and try to control them adequately. 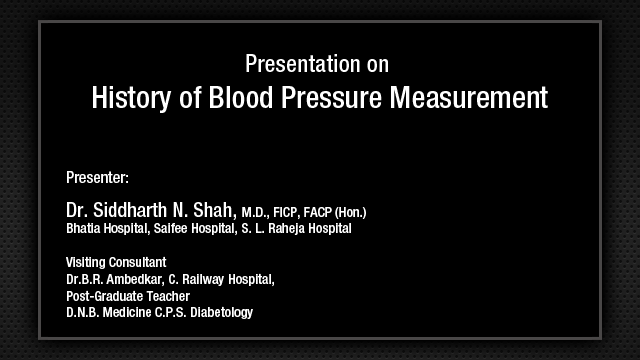 Coming to my basic talk, blood pressure lowering is designed to be difficult because it is maintained by multiple pressure system as Dr. Sethi has adequately said. So it is designed to resist blood pressure lowering inhibition of one system activates another system and as the age advances, what we have seen that there is increase in peripheral vascular resistance and there is an arteriolar restriction or there is anatomical changes in blood vessels. So, these are three basic mechanisms which need to be tackled; RAAS, sympathetic, and sodium which has been very elegantly discussed by previous speaker. I am not going to go into more detail. Just to show you that if we use only diuretics or you are going to use only vasodilator you are going to stimulate RAAS system so ultimately over the period of time the pressure control may not be very effective. RAAS blockade has become the foundation of modern combination therapy so it has to be given to every patient it looks like in clinical practice, and we have also learned pre-hypertensive or young or stage I hypertensive as they progress to the older patients with the long duration hypertension, the pathophysiology differs starting from increase RAAS system, increased vasoconstriction, peripheral vascular resistance to declining GFR, sodium retention, and stiffness of the arteries and that is the reason why in initial stages we use RAAS blockers where as in this group of patient they need diuretics and calcium channel blocker. So, this is basic pathophysiology and the management of this hypertensions. The lessons which we learn from clinical trials are enormous. There are 150 clinical trials but one trial which has been discussed by Dr. Sethi in detail, I am just going to brief you about that, the ASCOT study, hypertensive patient with multiple risk factors in spite of having almost similar reduction of blood pressure there was reduction in cardiovascular events in ACE inhibitor and calcium channel blocker combination versus beta-blocker and diuretic combination possibly because of CAFÉ, a sub-study, which shows central aortic pressure was reduced more often in them. Blood pressure variability which has now found to be very important cause found to be more often in beta blocker and the diuretic combination and thirdly the new onset of diabetes was very high in this group of patient with atenolol and thiazide group of population compared to the calcium channel blocker and ACE inhibitor and because of all this reasons, the guidelines which I personally feel as of today, till we get JNC-8 guidelines, this is the best guidelines and practical guidelines for the management of hypertension which previous speaker has already discussed with you. If you have younger population, early stage hypertension, particularly uncomplicated hypertension, I will like to use the ACE inhibitor or ARB. If not controlled, add calcium channel blocker. Still not controlled, add diuretics in stage III and stage IV and we know that beta-blockers, calcium, and other block drugs can be added. This has been discussed. Also, we know to control blood pressure, even in uncomplicated hypertensive population, you need more than 2 or 3 drugs to control them to the goal levels. Now question comes which drug we should start with? Shall we start with ACE inhibitor or ARB? My personal view would be that we should start with ARB because if you look at the cardiovascular continuum, the ARBs have been proved to be equal to that of ACE inhibitor. If we look at the clinic trial done for hypertension our ONTARGET for high risk population or heart failure population, everywhere they found ARBs are as good as ACE inhibitor in reducing the cardiovascular events. Secondly, we found they are better tolerated, they have a longer duration of action and possibly more effective in controlling the hypertension and in our country there is not much of difference in the cost compared to other parts of the world, so I feel this is a good drug because if you look at the adherence of the drugs, the ARBs are far superior even to the ACE inhibitor basically because of the cough as a side effect and angioedema of course, whereas other groups of drugs adherence is much lower, long-term treatment as we know they need to treat for longer period of time. Look at the safety profile, even better than placebo. How can we have better than placebo is basically because the patient does not have any headache or giddiness and they get relieved with the drugs which is not possible with placebo and that is the reason they say that it is very, very safe group of drugs and we have large number of drugs to be used in clinical practice which like telmisartan, valsartan, losartan everyone, all of them are doing very well, even olmesartan, and they found that only thing is some needs to be taken twice a day and most of the drugs like the telmisartan and olmesartan can be taken once a day, so 24-hour acting drug is useful for the compliance issue. The other added advantage with telmisartan has been the long acting, low dose, lipophilicity, PPAR gamma activity makes it more sensitive for the insulin and more infinity for angiotensin II. So, that is the reason that I can feel that ARBs should be the number 1 drug for this group of patient. Now, if the pressure is not controlled which will be true in majority of the patients, then I will like to use a calcium channel blocker. Now the question comes which channel blocker. I will put amlodipine as one of the best because we have studies in favor of that with PREVENT, CAMELOT, ASCOT, and ALLHAT, all these studies have shown by using amlodipine, there was significant reduction in the cardiovascular events in patients with hypertension and among all the calcium channel blocker the amlodipine certainly has the highest half life. It can be used once a day along with telmisartan and olmesartan can give good control of pressure for 24 hours and now after listening to Dr. Sethi’s talk I can see that the cilnidipine, which is the new drug which has got added advantage of again acting for 24 hours and added advantage of controlling the other receptors like N-type receptors probably may be a good drug for future to be used along with the ARBs, but we have to wait for some of the trials to come. The another advantage of using these two group of drug is that one drug it counteracts the side effect of the other drugs. As we know amlodipine causes pedal edema particularly in the higher doses, but if we add telmisartan of any other ARBs, the incidence of pedal edema goes down, so that is another added advantage which we have seen along with this drug. This is basically explained by this slide that when there is hypertension both afferent and efferent arterioles are constricted. If you use alone calcium channel blocker like amlodipine, you only have arteriolar vasodilation, renal vasodilation is not there and it stimulates RAAS system but if you add ARBs you inhibit the RAAS system, the BP comes further down and produces the venodilatation also and thereby reduces the pedal edema. So, this is a distinct advantage of combining these two groups of drug for these patients. If BP is still not controlled which will be there in 20% to 30% of patients, then I will like to add a diuretic. The third drug will be diuretic. We have learned that around 50% to 20% of patients they need more than 2 drugs to control BP and the most rational combination appears to be RAAS blocker and calcium blocker and a diuretic. This is because if we use diuretic then there is a further reduction in blood pressure as you can see in most of these studies using various ARBs along with diuretics are more effective than comparing with increasing the doses of drug by doubling the drug or tripling the drug does not work much but adding diuretic reduces more effective blood pressure. Second important advantage of diuretic has been in some of the patients, those who are non-dippers, I mean they do not reduce blood pressure between 10 to 12, they have less than 10% reduction in blood pressure during the night time. If you use diuretic there is a significant reduction in blood pressure even in the night time, so non-dippers they become dippers in that stage. This is what the added advantage we have seen. So NICE guideline says if diuretic is to be used, choose a thiazide-type of diuretic such as chlorthalidone or indapamide in preference to hydrochlorothiazide. This is what the recommendation has come. Why chlorthalidone, which Dr. Prashant has already discussed with you, probably the dosing, duration of action, nighttime efficacy, and we have done studies with ambulatory blood pressure and they have got certain other pleiotropic effect on the carbonic anhydrase or platelet aggregation and vascular reactivity has been another mechanism so the other pleiotropic effects of chlorthalidone which makes them a better drugs. This is proven by these three important studies MRFIT study, SHEP, and ALLHAT which has been discussed in detail. MRFIT was not discussed so I thought just to discuss with you. This is a group of patient where they have shifted the baseline multiple risk factor intervention trial, the changes from baseline at 48 months and what they did in some of the patients those who are on chlorthalidone they shifted to hydrochlorothiazide and visa versa and they found if you look at the efficacy the chlorthalidone was more superior to hydrochlorothiazide. Look at the left ventricular mass reduction, it was again in more favor of chlorthalidone compared to that of the hydrochlorothiazide. Look at the cardiovascular endpoints, they found significant reduction in all-cause cardiovascular mortality, acute myocardial infarction, and all nonfatal and fatal myocardial infarction. Everywhere we can see the chlorthalidone group scored over the hydrochlorothiazide and possibly because of this reason and also as discussed with Dr. Prashant that they have a long half life. You can see here the half life is almost 40 hours or so compared to small hours where they are 6 to 9 hours with hydrochlorothiazide. So that is the reason which I will like for today, if you are to use third drug like diuretic, I would like to use chlorthalidone in my practice and this has been proven in some of these studies like TRINITY study with olmesartan. Of course in this study, they have not used chlorthalidone, they have used hydrochlorothiazide, despite of that they found that if you use three drugs there is further reduction of blood pressure and up to tune of 70% people can achieve the goal, but if have got 40 mg of olmesartan almost 95% of the people will achieve the goal of blood pressure in uncomplicated hypertensive patients. Regarding the management hypertension, uncomplicated hypertension in elderly which was discussed by Dr. Ramesh yesterday, but certain talks which I thought I would discuss with you as this is OSCAR study done in Japan in more than 1000 patients. They have given 40 mg olmesartan versus 20 mg olmesartan along with amlodipine and they found that the patients those who had coronary artery disease, particularly the elderly population, they did better with the amlodipine and olmesartan combination compared to the patient who do not have the underlying cardiovascular disease where the effect was almost similar. Higher dose ARBs were almost equal to that of the combination drugs whereas the patient those have underlying disease then they had problem. So, the only patients in whom lowering blood pressure too much is worrisome are those with only coronary artery disease, the stiffer vessels which are very elderly population more than 70 or 75 years of age. So, best approach should be a tailored therapy. The greatest challenge in the antihypertensive treatment may not really be the lower the better as we know about ASCOT study, but earlier the better. So what we want is that we should start treatment or adequately aggressively manage both blood pressure, diabetes, and lipids in the patient those who have short duration of disease or recent onset of disease whereas patients those who have long standing hypertension or longstanding diabetes probably it is better not to be aggressive as ASCOT study has told us. So it is better to be earlier rather than to be lower and trying to cause them a U shape curve causing more cardiovascular morbidity and mortality in elderly population. This is the AHA 2011 expert consensus for elderly population. They say you can for people those are more than 65 years of age need not keep the pressure less than 140/90 you can go up to 150 to 160 systolic in patient who are 75 or 80 or very elderly population as we have seen in HYVET study which was discussed in the morning and there is no evidence to support that the use of BP targets of less than 130/80 in diabetes, CKD, and CAD is good for elderly population. This is what the JNC says, blanket statement that every individual should have 130/80, but probably this is what the consensus revision came and they say probably do not try to target 130/80 blood pressure in elderly or very elderly population because you are going to cause them more harm because most of the patients have got underlying cardiovascular disease with them. The drug choice depends up on concomitant condition as we discussed that every group of drug that can be used, probably be small dose of diuretics, ACE inhibitors, calcium channel blocker and start low and go slow approach should be very, very essential and respect them in clinical practice. The last point is what we discussed in the morning, do the season effect blood pressure? This is a study which was done and a few of the studies were done. We have done our own study also in our hospital. Particularly in the northern part of the country which we face a 1 degree in winter to 45 degree in summer, such is the variation of temperature which we have seen and that is discussed. There is lot of sweating and water loss so what we found during winter less sweating, vasoconstriction, less physical activity are all found in northern part of the country, lot of alcohol, salt intake, festivals and cultures have been seen and that all lead to increase in blood pressure whereas in summer months more sweating, vasodilatation, increased physical activity, less of this culture so visa versa the blood pressure goes down automatically. The ambulatory blood pressure monitoring of this group of patient have shown that 50% to 100% increase in drugs requirement were in the winter months whereas it is visa versa in the summer months. Particularly this is for the northern India where the temperature variation is very, very high. So, what we suggest is to have diuretic in winter months and we are trying to avoid diuretic in summer months, which was discussed few minutes ago on the dais. 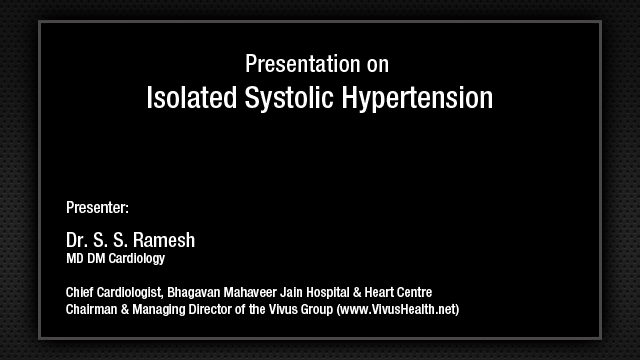 To conclude my talk what I want to say is that blood pressure lowering remains the key objective for uncomplicated hypertension. Most people they need combination and combination therapy also reduces adverse effects of the single agents, combination therapy reduces heterogenicity and unpredictability of response, a good response in most of the patient which we have seen and combination of ARB, calcium channel blocker, is likely to be the best tolerated, most effective, most protective, and preferred combination for most of the patients, but I must tell you that if a patient has a cardiovascular disease or vascular disease underlying then I would not like to use ARB as first line of treatment because the reason for that is that 30% of the patient will require triple therapy which I have discussed with you and ARB, calcium channel blocker, and diuretics but for the patient with vascular disease I would like to avoid these drugs because the endothelial regeneration, the apoptosis and the regeneration of the endothelium is better protected by ACE inhibitor compare to ARBs because the bradykinin levels are higher in ACE inhibitor compare to ARBs. So, in patient who is having underlying cardiovascular disease the first line of drug I will like to use is ACE inhibitor not ARBs because of this reasons, but where patients who are having no evidence of coronary artery disease I will like to start with ARBs because of the better tolerability, less cough, and that is the reason.